One in three pets will get lost at some point. 10% of these pets are lost never to be found. You may eventually find your lost pet without a GPS tracker, but the anxiety, heartache and time wasted is well worth investing in a GPS tracker for your pet. Piece-of-mind is priceless. You may say, “I don’t need a GPS tracker, I always have my dog under my control.” But all it takes is one unpredicted scenario that your dog runs away and disappears, for sure you would have wished you had a GPS tracker to easily retrieve your dog, keep it safe and save yourself the pain. 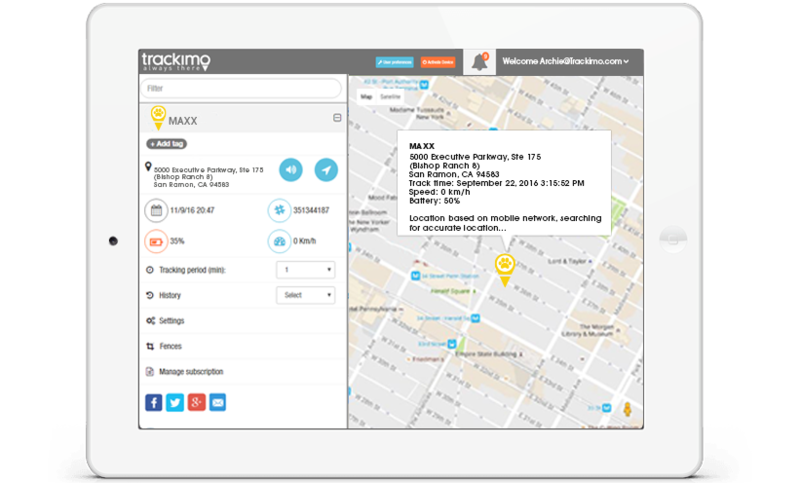 Trackimo’s Guardian 3G GPS Tracker, is our most innovative device to date. Keep safe and find the whereabouts of your Dog. Get peace of mind knowing that you can find your dog exact location right from the palm of your hand. 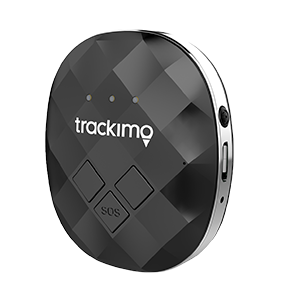 Fully equipped with revolutionary GPS/GSM/Wi-Fi/BT Hybrid tracking and using its patented technology, Trackimo will provide you with outdoor and indoor tracking worldwide. 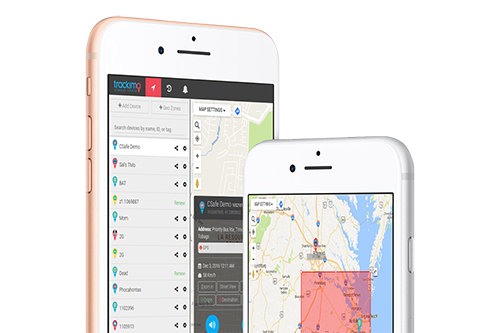 Smart alerts and other vital information can be then accessed using Trackimo’s smartphone app, desktop app or via email and SMS. Have peace of mind knowing where your pet is at all times. 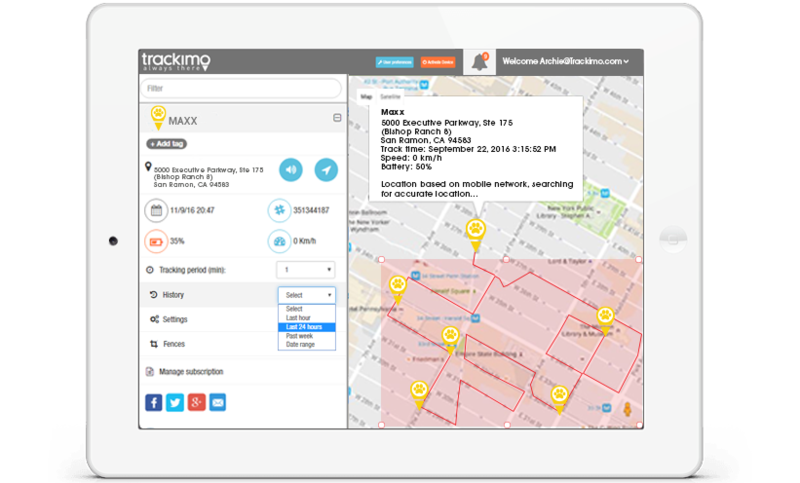 Trackimo GPS pet tracking device works in real time. Microchips only work at certain distances, much like scanners in groceries. Trackers, on the other hand, work anywhere, as long as GPS signal and internet services are available. Allows you to define a safe zone by creating a virtual fence. Receive alerts if your pet leaves the virtual confinements that you’ve created. Learn about your pet’s activities by checking their location of one to 120-minute intervals – this way, you know how active your pet is during the day, even when you’re not at home. Our unique features make sure that your pets are protected. It also allows you to track an infinite number of pets by multiple users on a single account. For pet owners who are worried about their furry loved ones getting too far off their sight, Geofences can be set up within specific parameters. 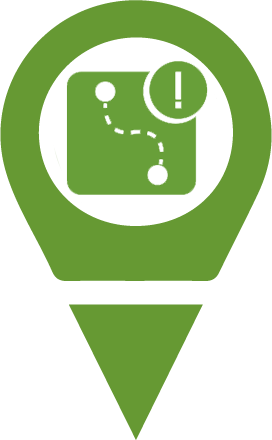 Real time tracking, of your pet’s path and present location. Up to 30 days in safe mode. You will get an alert when the battery needs to be charged. First year cellular service of $60 is included, only $5 per month on the second year. SOS button, whoever finds your pet can dispatch you by pressing the SOS button. You can’t always be with your pet, but Trackimo can keep you connected. Simply attach Trackimo onto your pet’s existing collar, that comes with an attachment pouch. The device can easily be removed from the pouch when it needs to be charged. 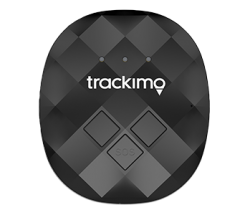 Trackimo can track accurately indoors and outdoors, using existing WI-FI and bluetooth signals, no password needed! 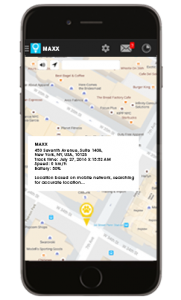 Find and track your pet anywhere, works worldwide: You will be able to track your dog and see their location information from the website or mobile app (Free Android & iPhone Apps). SIM Card is included, no roaming charges! Automatically tracks in real time in 1 minute intervals. You can manually update your pet’s location at anytime. One in three pets get lost in their lifetime: With the Trackimo pet tracker, your dog won’t be one of them! You can add as many pets as you want to your account and keep track of all of them all the time!